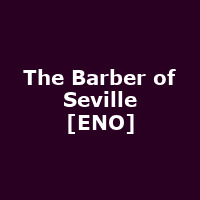 "The Barber of Seville will have you smiling from the moment it begins. Filled with fun and farce, this sunny adventure follows the escapades of the barber Figaro as he assists Count Almaviva to prise the beautiful yet feisty Rosina away from her lecherous guardian Dr Bartolo. Set in an elegant vision of 18th-century Seville, Jonathan Miller's much-loved production returns to the Coliseum and remains as side-splittingly funny as ever. For this revival, the talented Christopher Allen will conduct Rossini's sparkling score, packed full of wit and playful tunes."